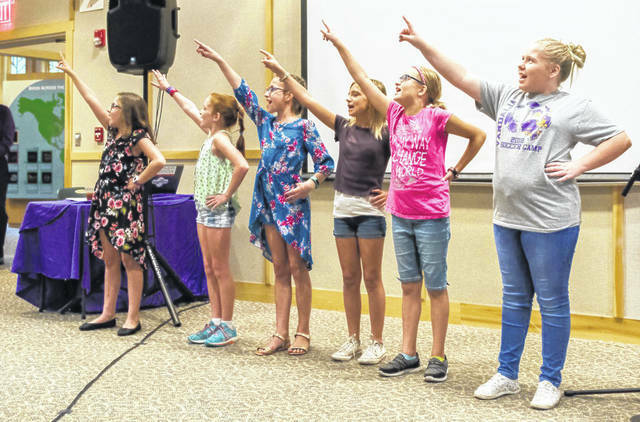 The Muse Machine artist-in-residence program in the Vandalia-Butler City Schools is one example of a program funded by the VISIONS Endowment Fund. Applications for the next round of funding are due by December 1. VANDALIA -BUTLER — The Vandalia-Butler Foundation is seeking applications for educational grants to fund creative classroom projects in Vandalia-Butler City Schools. Last year, the Foundation, primarily through its VISIONS Endowment Fund, awarded teachers a record $10,000 in educational grants — and expects to top that mark this year. The deadline is Dec. 1. Teachers in the district can fill out this grant application and either email it to info@visionsendowmentfund.org or mail to VISIONS Endowment Fund, P.O. Box 722, Vandalia, OH 45377, ATTN: Grants Committee. Initiatives funded in the past have included pilot reading programs, high-tech scientific data-collection kits and a Muse Machine artist-in-residence who inspires students to write a script, choreograph the music and perform in an original play. Launched in 2002, the VISIONS Endowment Fund operates as a special advisory committee to The Vandalia-Butler Foundation, a component of The Dayton Foundation. For those wishing to make a contribution to the VISIONS Endowment Fund as part of “Giving Tuesday” on Nov. 27 or as a yearend tax-deductible gift, donations can be mailed to VISIONS Endowment Fund, c/o The Dayton Foundation, 40 N Main Street, Suite 500, Dayton, OH 45423-1038. To make an online donation, visit www. visionsendowmentfund.org.